A former Attorney-General of The Bahamas, John has been leading counsel in commercial litigation before all courts in The Bahamas and has had substantial involvement in complex insolvency matters. He has been advisor in several major acquisitions and mergers in The Bahamas, and in acquisitions by or mergers with regional entities. Highly valued by industry to navigate complexities and pitfalls to achieve strategic business objectives, John has held a range of non-executive directorships of financial institutions and has served as member and chair of audit committees. 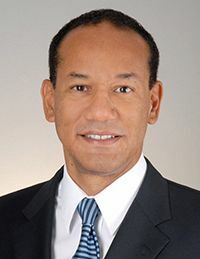 John currently serves as a non-executive director of RBC Financial (Caribbean) Limited, the regional parent of the Royal Bank of Canada's interests in the jurisdictions comprising the Caribbean region. John has a history of national contribution and previously served on the National Insurance Board, Bahamas Financial Services Board, and has chaired The Bahamas Trade Commission. In November 2013, in recognition of outstanding contribution to the Financial Services Industry of The Bahamas, John was named Executive of the Year 2013 in the Industry's 13th Annual Excellence Awards.